Dr. Rick Lindroth of the University of Wisconsin will speak at CMU on January 29-30 regarding climate change, faith and science. In a world of "alternative facts," what does science have to offer? That's one of the questions Dr. Rick Lindroth will address when he visits Canadian Mennonite University January 29-30 as its 2018 Scientist in Residence. 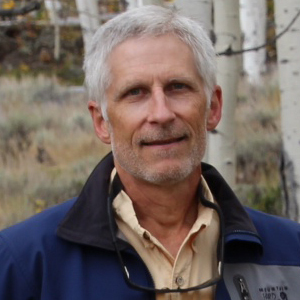 Lindroth, a Vilas Distinguished Achievement Professor of Ecology and Associate Dean for Research at the University of Wisconsin (Madison, WI), will appear on campus to share his insights, observations, experience, and personal reflections during three speaking events open to the public. The CMU community is excited to host Lindroth, says Dr. Tim Rogalsky, Associate Professor of Mathematics and Chair of the Science and Faith Advisory Committee. "Can science be trusted? It might not be too strong to say that the fate of the world depends on how we answer that question," Rogalsky says. "As both Christian and scientist, Rick brings important insight to it. What is truth? What is knowledge? And to what extent can we trust science to help us find a way forward?" A student forum titled, "Two Degrees of Separation: Climate Change and the Christian Challenge," on Monday, January 29 from 11:30 AM to 12:00 PM in the CMU Chapel (600 Shaftesbury Blvd.). A chapel titled, "Life at the Intersection of Science and Faith: A Biologist's Story," on Tuesday, January 30 from 11:30 AM to 12:00 PM in the CMU Chapel. A lecture on Tuesday, January 30 at 7:00 PM in Marpeck Commons (2299 Grant Ave.). The lecture is titled, "Science as a Way of Knowing: The Pursuit of Truth in a Post-Truth World." This lecture will be streamed live online at cmu.ca/sir. Lindroth's research focuses on evolutionary ecology and global change ecology in forest ecosystems. He and his students have published more than 200 peer-reviewed scientific articles and book chapters. When speaking to audiences, Lindroth makes no bones about the seriousness of some of the environmental problems facing the world. At the same time, he believes that Christians have an opportunity to lead the way in providing answers to some of these problems. "It's not really a matter of right or left, it's a matter of right or wrong," Lindroth has said, adding: "There is indeed promise, but the promise rests with us as individuals and as communities—as communities of God's Kingdom who are charged by God to go out and be reconciling, redeeming factors in the world around us." Lindroth has been a Fulbright Fellow and is a Fellow of the Ecological Society of America, the Entomological Society of America, and the American Association for the Advancement of Science (AAAS). Additionally, Lindroth has served in numerous roles at his church, including many years on the governing board. "The topics that Rick talks about are so relevant," Rogalsky says. "Humanity seems hell-bent on ecological self-destruction, and science can help—both to understand what happened, and what needs to change." For information about CMU visit cmu.ca.